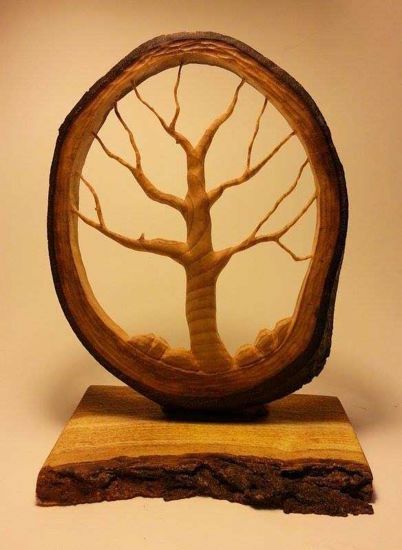 Wood Carving Art - "Tree of Life". 3D Wall Art for your Living Room as a Rustic Home Decor. An Original Artwork for You. The Tree of Life is carved from Basswood on a Mulberry base. There is no dye and stain involved. You see the natural colors of different types of wood. Wood has been finished with natural wax.